Egg fly - Intended mainly for steelhead and salmon, these simple flies are tied with fluorescent material to imitate a single egg or a cluster of eggs drifting with the cunent. Fish an egg fly by angling your casts upstream, then allowing the fly to drift along bottom at the same speed as the cunent. Leech fly - The long tail is made of marabou or a strip of chamois or latex, giving the fly an undulating action similar to that of a leech. These flies appeal mainly to bass, panfish and trout. 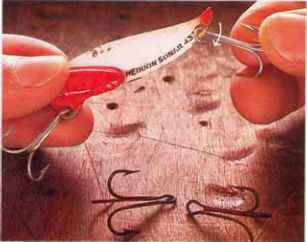 Work a leech fly along bottom or over weedtops by retrieving steadily or with a slight jigging motion. If you jig a marabou pattern too vigorously, the tail puffs out and does not look like a leech. Crayfish fly - These flies have tufts of hair or other material tied to imitate the claws of a crayfish. They work well for crayfish feeders like smallmouth bass, spotted bass and large trout. Drift a crayfish fly along a rocky stream bottom by casting cross-stream, then mending line (page l36). In still water, inch the fly ahead, then let it rest a few seconds. Fish often strike when the fly is motionless. Terrestrial fly - These flies imitate land insects such as grasshoppers, crickets, ants and beetles. 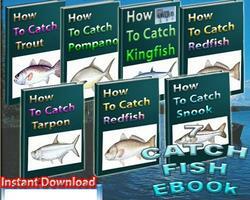 Intended mainly for trout, they are also effective for bass and panfish. When no aquatic insects are hatching, a tenestrial is a good choice. Fish a tenestrial with a drag-free drift, either on or below the surface. Because most land insects alight near the bank, you should drift a tenestrial as close to shore as possible. Trolling fly - One type, used mainly for lake trout and sahon, has a colorful mylar and hair body tied on a plastic tube through which the hook is threaded. Some have a small spinner at the tail or colored beads a! the front. Another type, called a squid, has a brightly colored, soft plastic skirt on a plastic tube. Squids are also popular for lake trout and salmon. Trolling flies are usually trolled with downriggers, diving planes or heavily-weighted lines. 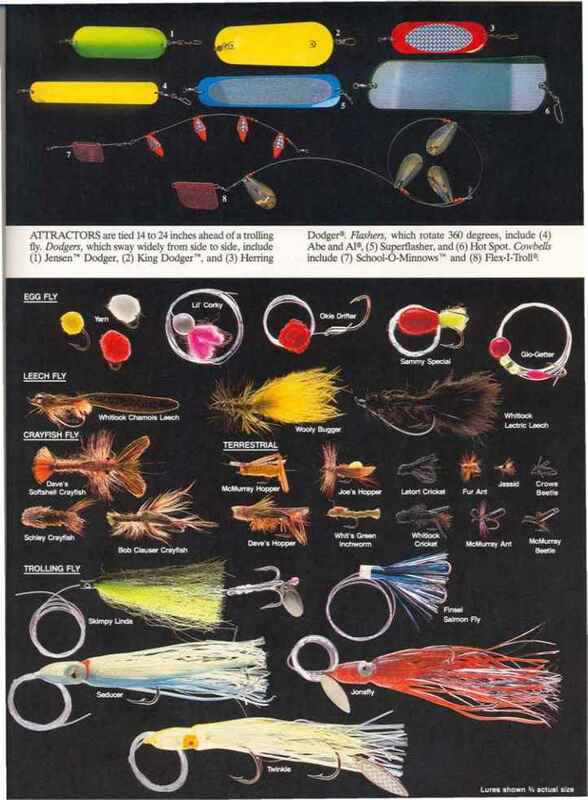 Many fishermen rig a flasher, dodger, or cowbells ahead of the fly as an attractor. How to rig a flasher and dodgers?